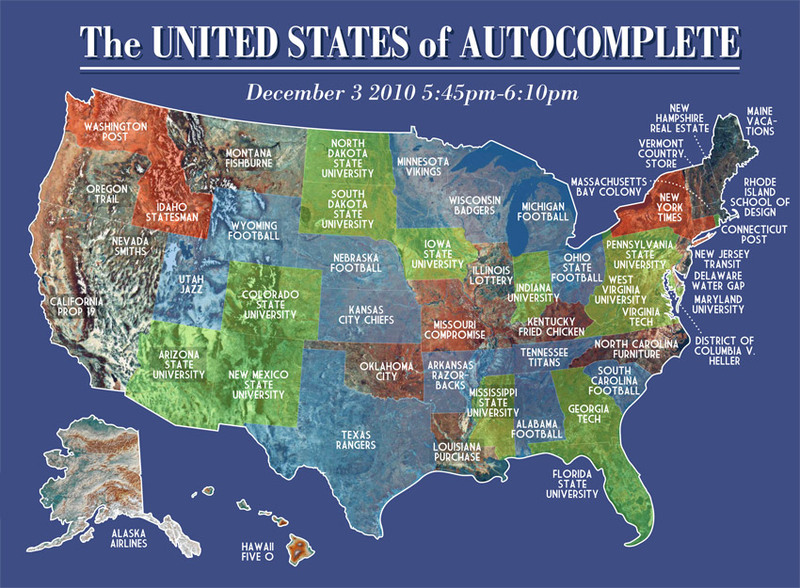 Very Small Array has created a map of the United States which includes one of the suggested autocomplete phrases that comes up after typing in that state. It’s not clear if they were the first ones or specifically selected ones. The comments on the post indicate that a lot of people had different suggestions, but the idea is still really cool! I am currently a Usability Analyst at Staples, Inc. I enjoy design that makes it easier for people to perform tasks and designs that make things fun (or just things that are inherently fun)!